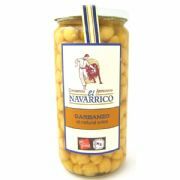 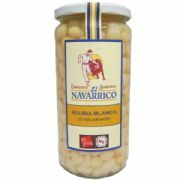 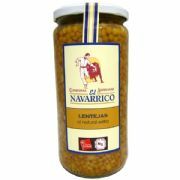 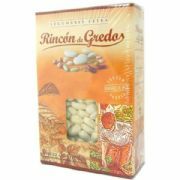 Arrocina Beans (Alubia Arrocina) - a variety of very small Spanish white haricot beans from Castilla y Leon in Spain. 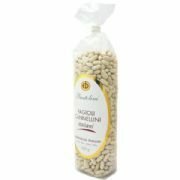 These dried premium quality beans are thin-skinned, meltingly soft, with a rich nutty flavour and hold their shape exceptionally well during cooking. 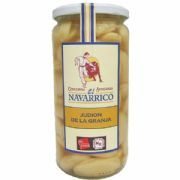 These Arrocina are cultivated, hand harvested at the optimum time and preserved to the highest standards for a wonderfully creamy bean that is full of flavour.